New Jersey homeowners still recovering from Superstorm Sandy are receiving additional financial relief from the federal government. WBGO’s Ang Santos reports, the plan was proposed six months ago by the Murphy administration. New Jersey is receiving $55 million in new funding and additional financial relief from the federal government for homeowners still rebuilding after 2012's Superstorm Sandy. 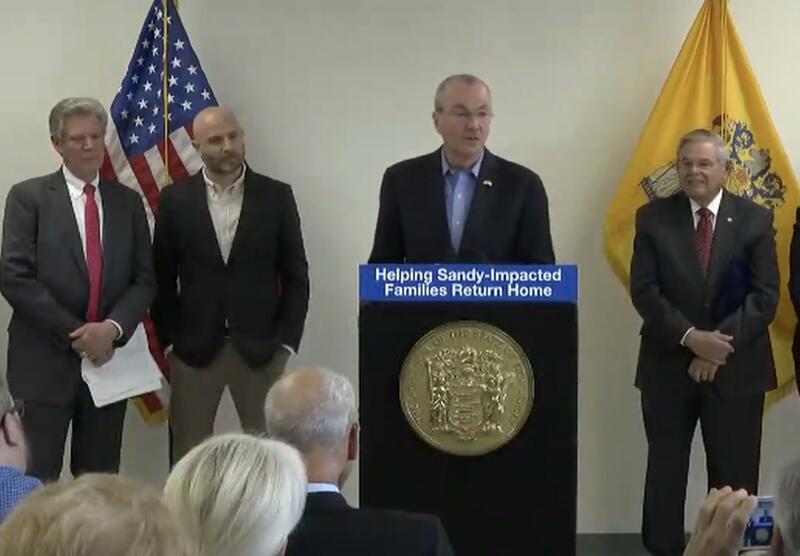 Governor Phil Murphy says the federal government has approved the state’s request to remove the cap on access to Sandy-related funds. The federal limit on the Rental Assistance Program has been increased from 21 to 40 months. In addition, the State Department of Community Affairs will reallocate $50 million federal dollars to create a Supplemental Fund for Sandy victims rebuilding their primary residence.